Following our recent renovations, myself and the team are delighted to welcome you to our hotel. 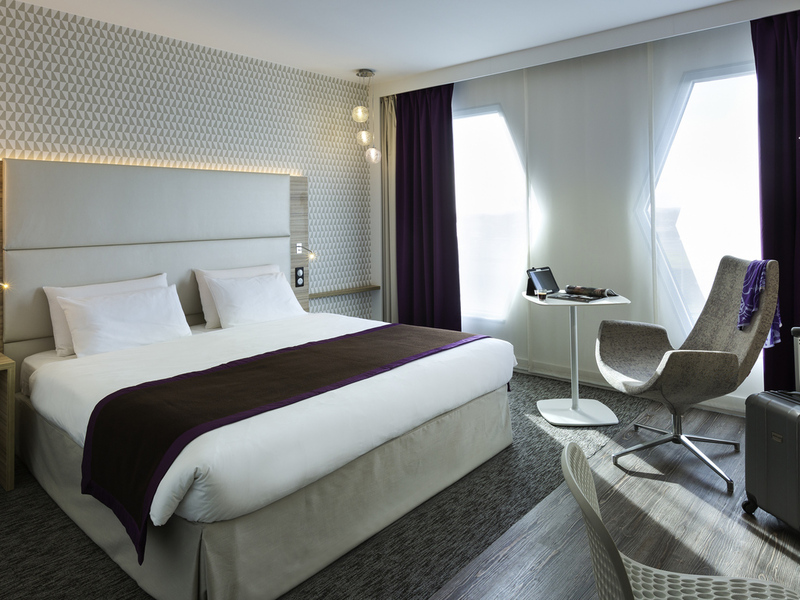 Perfect for your business trips, seminars at Orly, or stays in Paris... (re)experience the Mercure Paris Orly Rungis! The 4-star Mercure Paris Orly Rungis Aéroport hotel is located 5 minutes from Orly airport and 15 minutes from central Paris. The hotel is accessible from Orly airport via a free shuttle bus. Generous buffet breakfast with a panoramic view of Paris. Ideal for leisure stays and business trips, the hotel has 28 spacious and renovated meeting rooms. Fitness center, restaurant, private car park and free WIFI are also available. Benefit from the location of the Mercure Paris Levallois Perret to go shopping on the Champs-Elysées, to visit the national museums and parks round about, or to get to the Palace of Congresses. Come and try our Standard Rooms with a double bed or twin beds or our spacious Privilege Rooms with a king-size bed and a wide range of services. Our chef invites you to La Rungisserie. Choose from our selection of traditional and modern dishes. Enjoy our simple, tasty, healthy and balanced cuisine for a dinner or business lunch.